Winnie the Pooh is more than just a honey lovin’ bear. Pooh has been around since 1926 and has stolen hearts all over the world. What people love most about Pooh are his loyalty and fun-loving spirit. There’s also his adventures with his pals Christopher Robin, Piglet, Eeyore, Tigger, Rabbit, Kanga, and Roo, adventures that millions around the world grew up with. 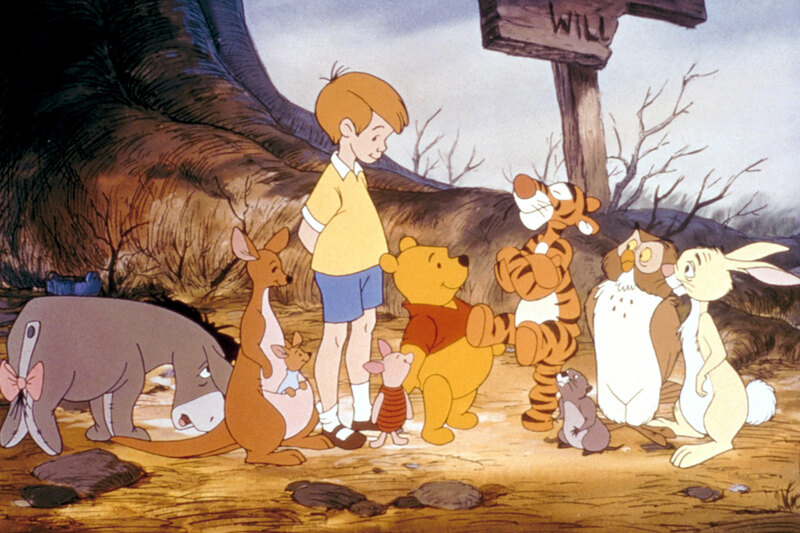 There’s something magical about Winnie the Pooh that sticks with you, and here are some of the most heart-melting quotes from these iconic characters. The new film, Christopher Robin, comes out August 3rd. Seeing the trailer brought me back to the days of my childhood. It made me remember how much I loved that silly old bear when I was growing up. I think many people who grew up with the stories of Winnie the Pooh will be excited for this live-action remake, which is why I want to revisit some of the best things Pooh has said that makes us love him so. Pooh is best known for his signature catchphrase, “Oh, bother,” usually spoken after getting himself into some sticky situations. From time to time, though, he and his friends also share unexpected words wisdom. These are my favorite quotes from Winnie the Pooh. Trust me when I say that they are applicable to all parts of your life. They’re sentimental, heartfelt, and may even make you shed a tear. This quote could be applicable to anyone in your life. A friend, a family member, a significant other, or anyone else that you care deeply about. In this quote, Pooh was speaking to Piglet, his best friend. We all hope we have that special someone that we never want to live without, even if it’s just by a day. As we all know Pooh LOVES honey. He is always getting into some sort of mischief like getting his head stuck in honey jars to get that lost drop of honey. To Pooh, not having any honey left would be as devastating as spending a day without a friend. I love this quote because it’s the pick me up that we all need. After all, the biggest thing that holds us back in life is ourselves. This is one of the more humorous Winnie the Pooh quotes and is more so a play on words. It shows that he never gets himself down. Instead, he is the wise friend that cheers you up. Unfortunately, saying goodbye is a part of life, but it doesn’t always have to be a sad thing. As Pooh says saying goodbye just means that you have found something special. This quote is an encouraging way to let someone know you’ll never forget them. They’re also words you’ll want to keep with you should you part. The wait is almost over for Christopher Robin comes to theaters! Hopefully these quotes brighten your day and get you even more excited for this children’s remake. Even though Winnie the Pooh is for the younger audiences, anyone can enjoy the sentiments of this film. Want more Winnie the Pooh before the release of the new film? Check out the kids’ section of your local Bookmans store and see what movies and books we have in stock!